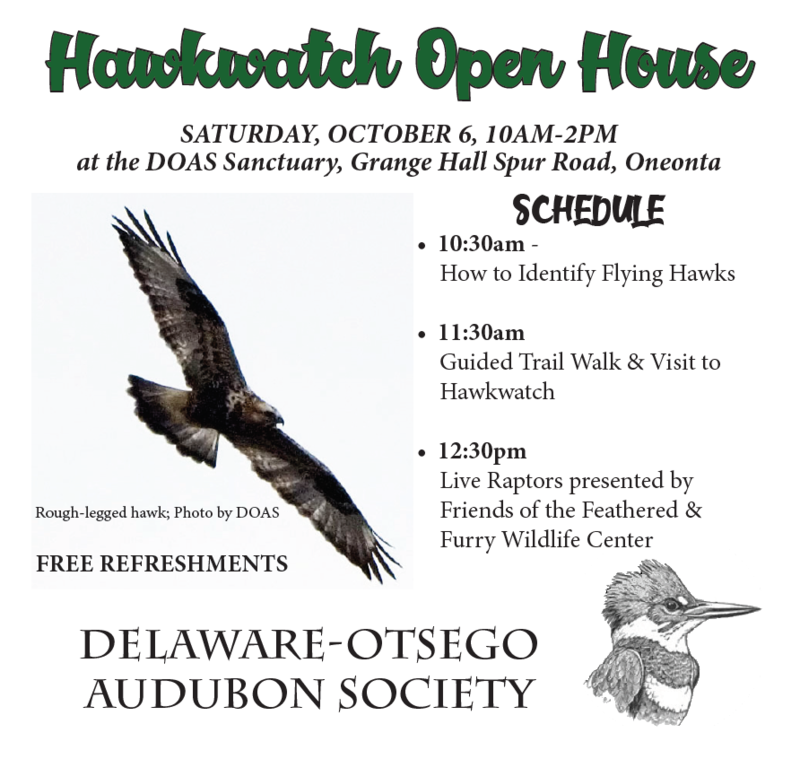 On Saturday, October 6 from 10 AM to 2 PM, the Delaware-Otsego Audubon Society will host an open house at the DOAS Sanctuary on Grange Hall Spur Road, Oneonta. The event is free and open to the public. Refreshments will be available throughout the day. Photo by George Mikhail at the DOAS Franklin Mountain Hawkwatch, 2016. Thousands of raptors of 15 species are counted each fall as they concentrate along the ridges overlooking Oneonta during their migration south for the winter months. 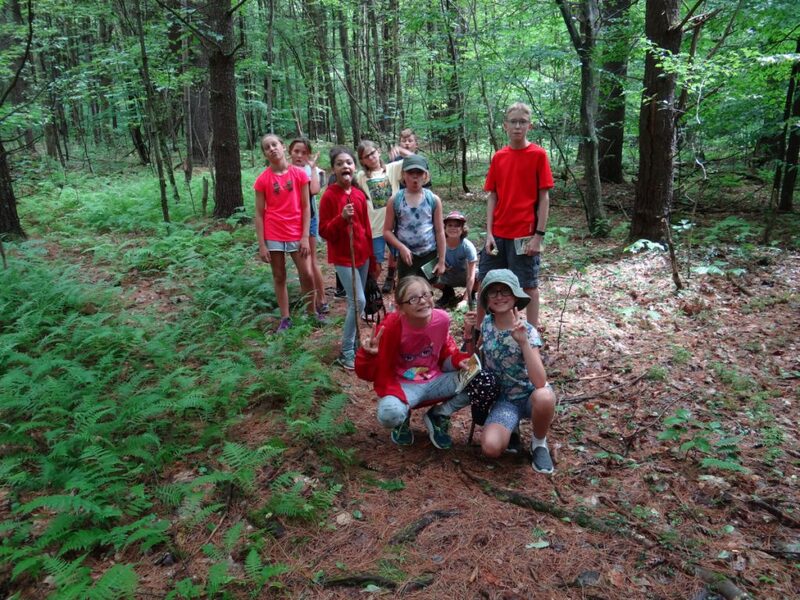 The Delaware-Otsego Audubon Society has operated the Franklin Mountain Hawkwatch to survey hawks and eagles migrating past their wildlife sanctuary in the Town of Davenport for over 25 years. Volunteers count hawks, eagles and vultures passing the site on most days from late August through December. The site is noted for its flights of Golden Eagles and Red-tailed Hawks. In some years, over 200 Golden Eagles and more than 2000 Red-tailed Hawks have been recorded passing the site on their way south. The best flights generally occur on days with north or northwest winds, usually following cold fronts. 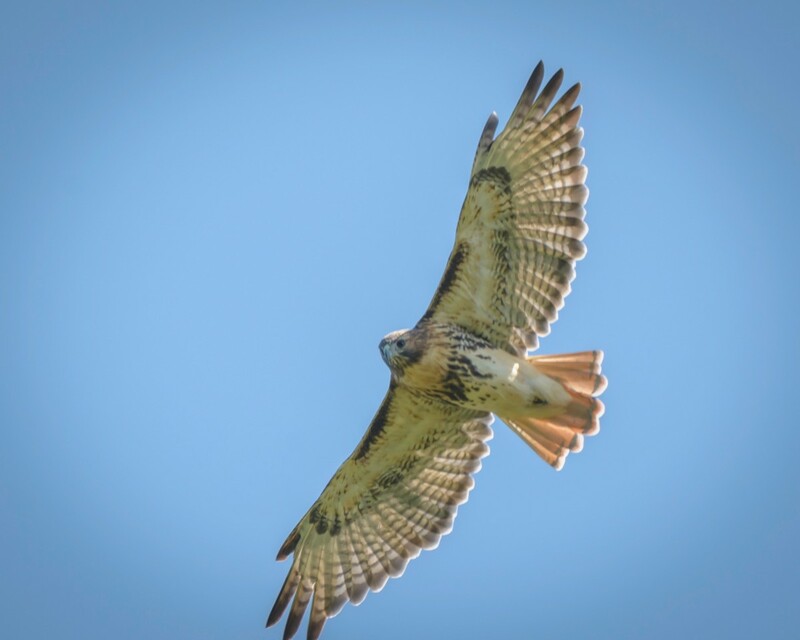 At 10:30am, one of the Franklin Mountain hawk counters will conduct a workshop on how to identify flying hawks followed at 11:30am with a trail walk through the Sanctuary which will end at the hawkwatch. At 12:30pm, Wildlife Rehabilitator, Missy Runyan from the Friends of the Feathered and Furry Wildlife Center will feature live raptors. 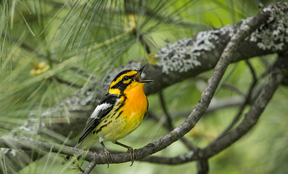 All attendees are encouraged to learn about the programs and opportunities offered throughout the year by Delaware-Otsego Audubon Society. 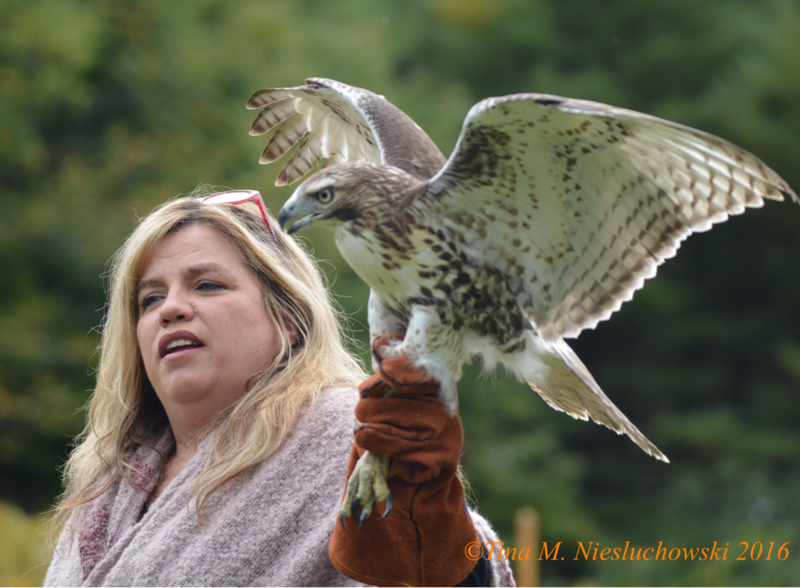 Missy Runyan with a rehabilitated Red-tailed Hawk just prior to release back into the wild at DOAS 2016 Open House. Photo by Tina Niesluchowski. 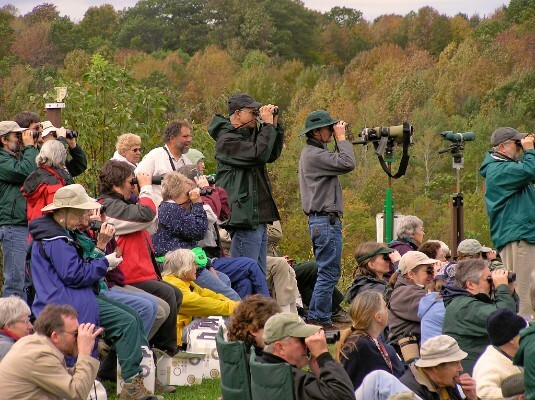 Members from the New York State Ornithology Association enjoy a day at the Hawkwatch. Photo by DOAS.